add to make it your own. Make your favorite dinner with white food. Ex. 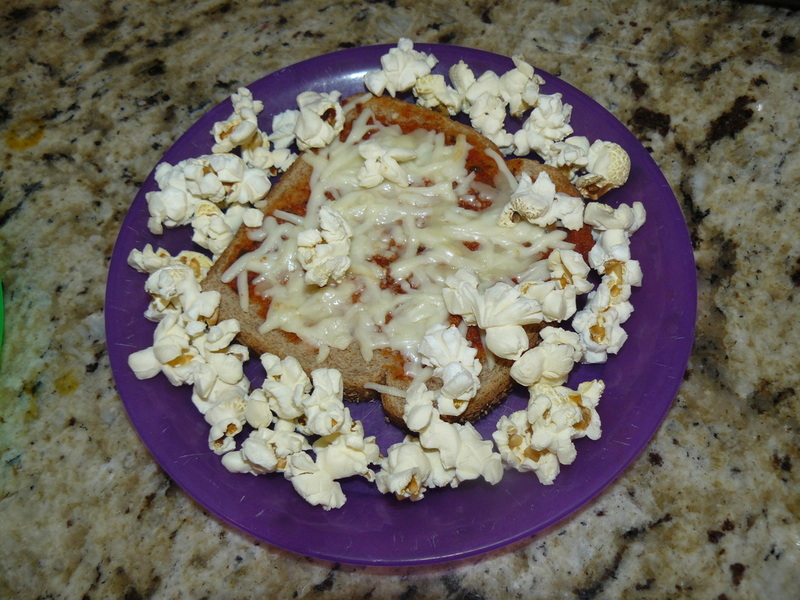 White chili, cheese pizza, popcorn, cauliflower, etc. For Snow Ice cream, combine all ingredients in a large metal bowl. Eat and enjoy. 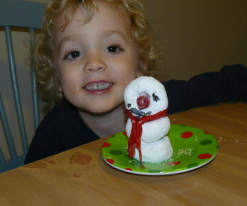 For Snowmen, stack 2 powdered sugar donuts in a stack. 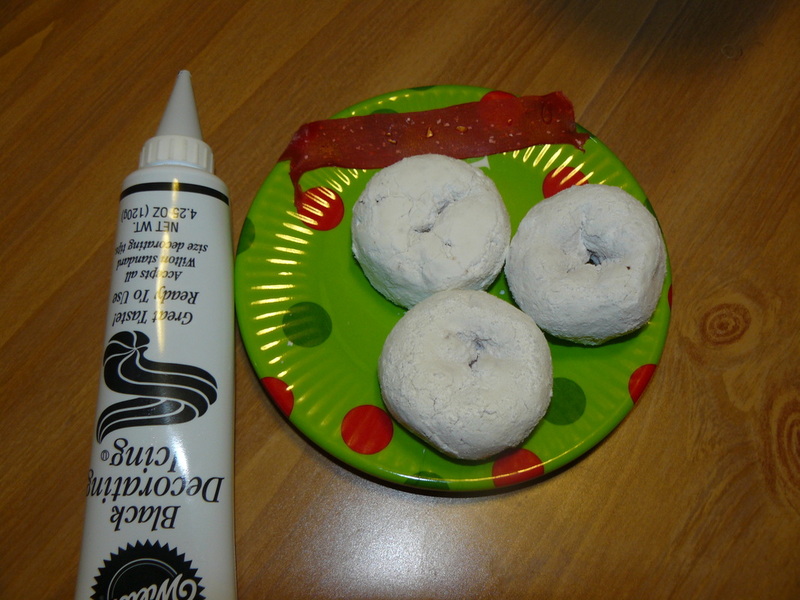 Use one more donut and make a face with icing or mini chocolate chips. Stick a candy corn in the middle or roll up some fruit leather into a cone for the nose. Use some fruit leather to wrap around as a scarf and decorate as you wish. -Make simple cutout snowflakes by folding a circle in half, then half again…and again. Cut edges and end in shapes. Unfold and Viola! -Shape a pipe cleaner into whatever shape you desire. To make a real snowflake, measure 2-3 cups of boiling water into a wide mouth jar. 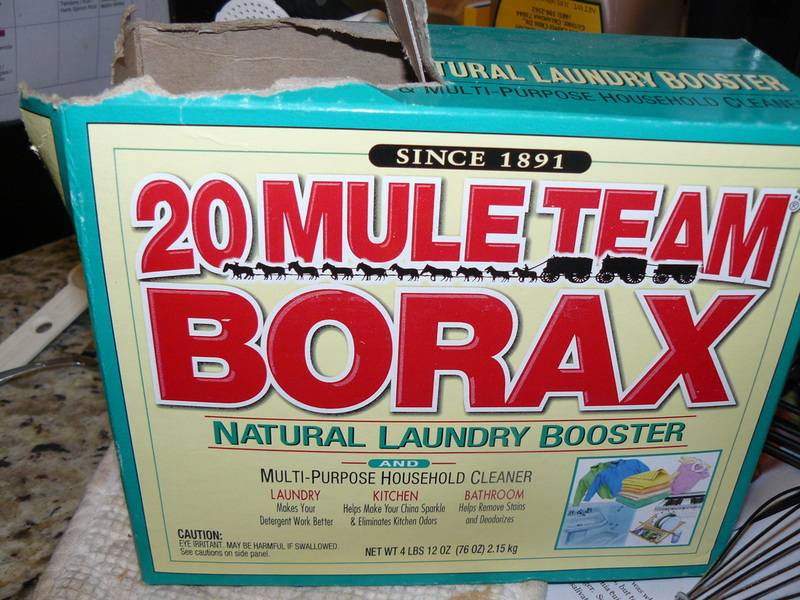 Dissolve 3 Tablespoons of Borax washing detergent per 1 cup of water in jar. Suspend pipe cleaner with a piece of string/yarn from a pencil. 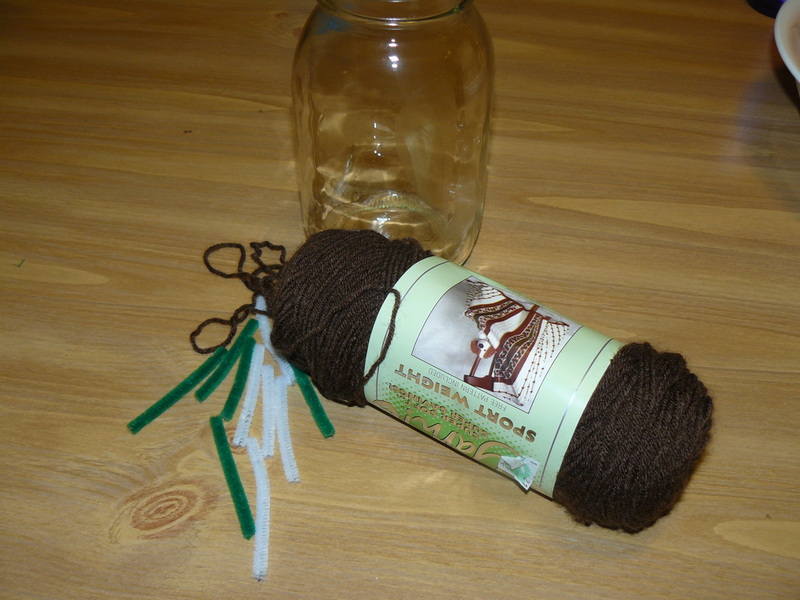 Submerge the pipe cleaner in the jar until your shape is completely covered by the water. Leave overnight and you’ll have a real snowflake in the morning. If you don’t have real snow to go outside and make a snowman and snow angels then have some fun inside. 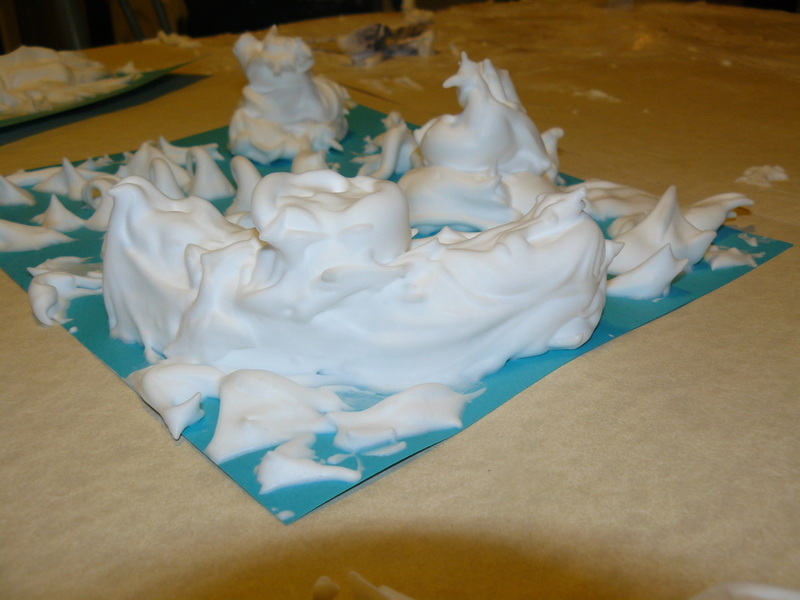 Use a can of shaving cream to have some ‘snow’ fun inside. Play in it however you wish. 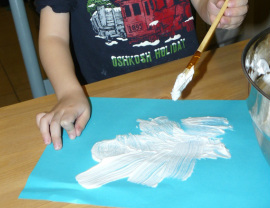 A fun tip is to mix a bottle of glue with ½ a can of shaving cream then paint with it. It will dry puffy. 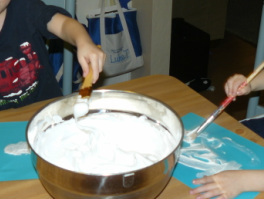 We also used our hands to get messy and shape snowballs.